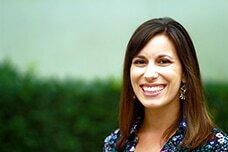 Rachel Stumpf is a Ph.D. in Education student with a specialization in Language, Literacy, and Technology (LLT). She earned her bachelor’s degree in English and Elementary Education, along with a Middle School Endorsement, from the University of Mary in North Dakota. Upon graduation, she taught high school English in North Dakota for three years. In 2012, Rachel began taking courses for the Summer M.A. in English program at UC Irvine. Studying literature and writing at the graduate level helped Rachel decide that she wanted to apply her study of literacy to finding ways to shape adolescent students into better readers and writers. Her research interests include English teacher education, adolescent reading and writing instruction, student motivation, and using technology in literacy instruction. Outside of education, Rachel’s interests include reading, cooking, and enjoying the reprieve from Midwestern winters in sunny California. Olson, C.B. ; Matuchniak, T.; Chung, H.Q. ; Stumpf, R.; Farkas, G. In press. Reducing achievement gaps in academic writing for Latinos and English learners in grades 7-12. Journal of Educational Psychology. Olson, C. B., Chung, H. Q., Stumpf, R., & Godfrey, L. (2017, November). Tales of possibilities: Cultivating academic writing capacity in mainstreamed secondary English learners through the Pathway Project. Presented at the Annual Convention of the National Council of Teachers of English, St. Louis, MO. Stumpf, R. (2017, February). Similar yet different: A comparison of writing in high school language arts and college composition. Paper presented at the Writing Research Across Borders conference, Bogotá, CO.
Stumpf, R., & Olson, C. B. (2016, December). Teachers’ sensemaking within professional development in language arts instruction. Presented at the Annual Conference of the Literacy Research Association, Nashville, TN. Olson, C. B., Matuchniak, T., Chung, H. Q., Stumpf, R., & Farkas, G. (2016, April). Reducing achievement gaps in academic writing for Latinos and English learners in grades 7-12. Presented at the American Educational Research Association Annual Meeting, Washington, DC. Olson, C. B., Matuchniak, T., Chung, H. Q., Stumpf, R., & Farkas, G. (2016, March). Reducing achievement gaps in academic writing for Latinos and English learners in grades 7-12. Presented at the Spring Conference of the Society of Research on Educational Effectiveness, Washington, DC. Olson, C. B., Matuchniak, T., Chung, H. Q., Stumpf, R., & Farkas, G. (2015, December). Reducing achievement gaps in academic writing for Latinos and English learners in grades 7-12. Presented at the Annual Conference of the Literacy Research Association, Carlsbad, CA.